Next you need to choose name for your network, pick the region you’re from and set the affinity group. The affinity group here is what Azure will use, in case of a fail over, to make sure your resources (CPU, memory, disk) will be as close to each other as possible to optimize the performance. The settings on the next page are completely optional, if you don’t define DNS server one from Azure will be used. 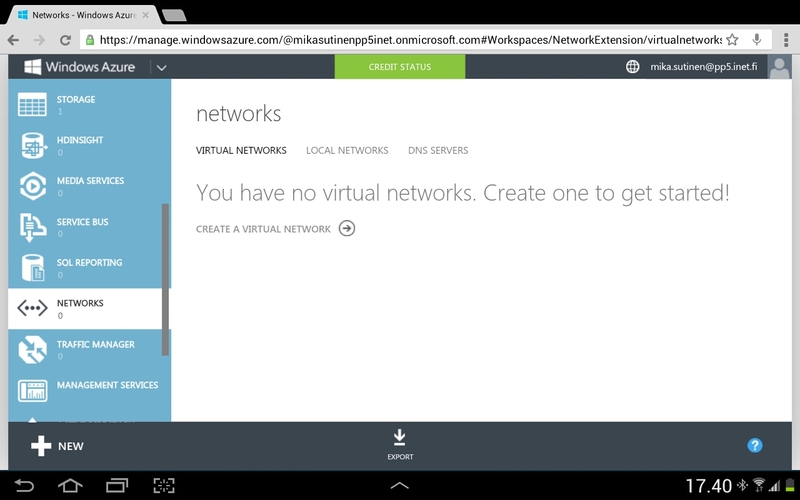 This is also the place to set your VPN point-to-site settings, if you’re looking to extended your network to Azure. Since we’re building a test environment, we can skip these settings. Finally you can create your own address spaces, or just go with the default settings here. With the final click, your network will be created. After creating virtual network to connect your servers, the next step is to set up the Storage Account. 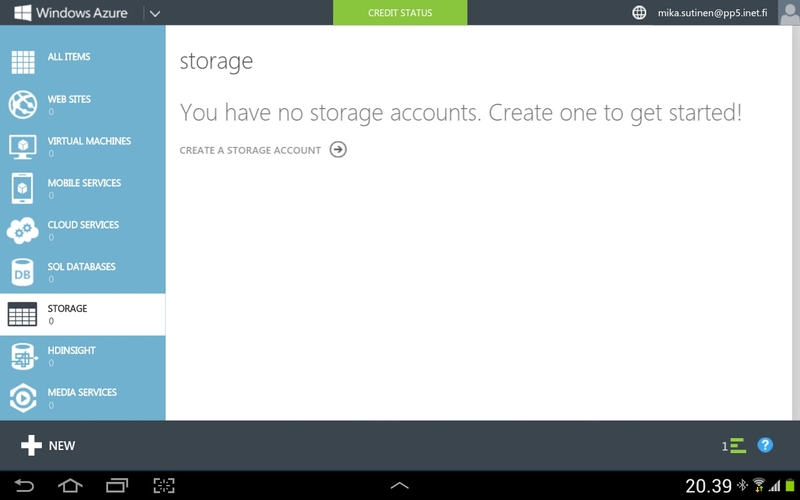 Choose Storage and then Create Storage Account. Storage Account creation will ask for an URL that needs to be unique, there’s also the previously create Affinity Group and option for geo-replication which is enabled by default. Click Create Account and after a while, your Storage Account is ready! Now we’re finally ready to go and create some virtual machines.